Discover all the most beautiful buildings in Strasbourg! The Ancienne Douane, the covered bridges, the Vauban dam, The Palais du Rhin, Gallia, the European Parliament, the Palais des Droits de l'Homme and many more. 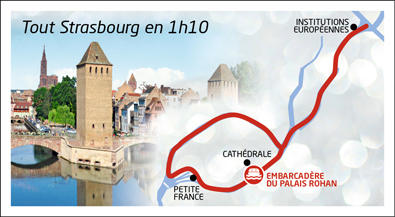 This is a real journey through the ages because Strasbourg’s districts tell the story of 2000 years of history.